"Sea level rise and more frequent flooding are major drivers of this steep decline in coastal birds," said Dr Bailey, a PhD graduate from the ANU Research School of Biology. "Our study species, the Eurasian oystercatcher, lives in an area where flooding is becoming more common, posing a threat to the survival of the population. 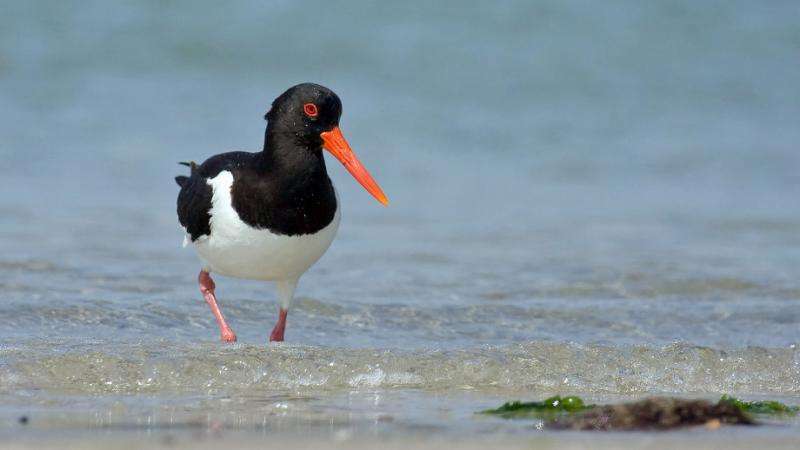 "Our study found no evidence that Eurasian oystercatchers have increased the elevation of their nests, even among birds that lost a nest during a flood. Factors including the presence of predators or unsuitable vegetation might discourage birds from nesting higher." "Researchers predict that rising sea levels and increased flooding events may drive the saltmarsh sparrow, a coastal species in the US, to extinction, possibly even within the next 20 years," Dr Bailey said. "Like the Eurasian oystercatcher, this species does not appear to be adapting to the changing tidal conditions." "Our work is part of a growing amount of research that shows the vulnerability of coastal bird species. These species may need additional conservation focus in the future," he said. The research is published in the Philosophical Transactions of the Royal Society B. So sea level rise is going to happen like a flood? All at once? It seems the birds build nests at a particular level above the sea not at particular levels above flood waters. And i the sea rises ever so slowly what do you suppose the birds will do????? Just like they did during the last big sea level change. Some species will die out, and others will flourish and become new species as they spread into newly open ecological niches. Unlike all previous times, we now can save DNA for the species that are disappearing and if prudent, may reintroduce them at some point in the future. All of these studies are based on computer models that predict less rain, more rain, more snow, less snow. more hurricanes, less hurricanes in short there is no change that the models do not predict. Thus man's contribution to CO2 levels is the only reason that the climate ever changes. What a "Science"! Be afraid. Be very afraid. Because sea level has NEVER EVER risen before, and it's NEVER EVER been higher than right now. A lot of creatures somehow survived the many previous "climate changes" but of course they cannot and will not survive MANN-MADE Climate Change(tm). LOL. Lysenkoism is not dead.